Dried naturally by the power of the wind and sun. Burns slowly, for a slow and steady heat output. 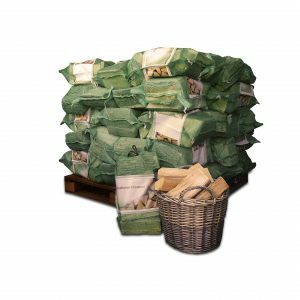 Stored in loose filling vented bags, stacked outdoors to allow full wind circulation. We source our wood locally from FSC managed sustainable woodland in Yorkshire, no more than 75 miles from our farm. Locally sourced packaging which is recycled or recyclable. We reuse pallets and locally sourced softwood to make our crates, which are built by hand on our premises. Our hardwood logs are dried by the power of nature, meaning no wood is burned in the drying process. We believe firmly in sustainability, and it is a cornerstone of our business. As such, we have planted over 500,00 trees, and we donate to ongoing Woodland Trust woodland management projects. 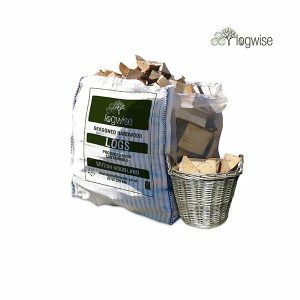 Our hardwood logs are suitable for stoves, fireplaces and open fires. Our large hardwood logs are suitable for large stoves and biomass boilers. 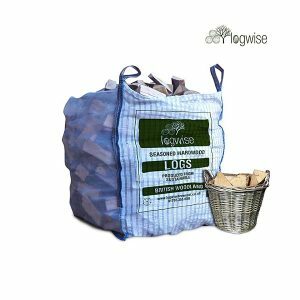 These logs will be delivered in mosquito net bags with vented sides: the most efficient way to store such logs while keeping them clean. We recommend storing these logs in a wood store, garage, or shed. We offer large hardwood logs, cut to 30 – 45 cm in length.